If there is one thing I am extraordinary great at; it’s shopping. I take pride in my skills of saving money, waiting for sales, and outsmarting stores by waiting for that dress I’m dying to have to get its price lowered a little. Even though I like to think of myself as an avid shopper and Queen of Steals I definitely fall into the trap of aesthetically pleasing things that I just don’t need, will never actually wear, or will promise myself I’ll use and never do. 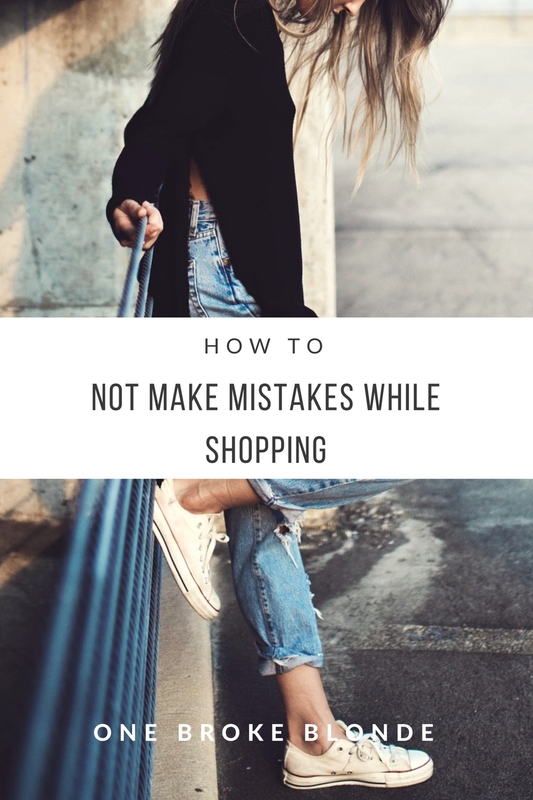 Here are the tricks I have learned throughout the years, and some tips on how to save money while shopping! Can You Dupe It? 99% of the time affordable stores like Forever 21, Windsor, Zaful, MakeMeChic, etc. feature styles that are essentially copycat of more expensive brands. If the item you’re dying to have is way out of your price range, check affordable places for similar styles, and chances are, they’ll have them! Sometimes quality is compromised when you go for cheaper alternatives, but if it’s a trendy item you probably won’t wear more then a few times then no harm, no foul 😉 Here is one of my personal favorite dupes! 2. The Outfit Test. This tactic has actually saved me from spending my money on A LOT of things. When I’m doing my usual daily online browsing and see something I love, I think to myself…is this something I can only wear in a certain season? Am I still going to like next year? Will I really wear it more than 5 times? If the answer is no, then I don’t buy it. If the answer is yes then I try to envision the outfit varieties I can make with the piece and really think if it’s worth it. 3. Check Nordstrom Rack. Nordstrom Rack is basically the best store that was ever created. I can spend HOURS in there browsing all the amazing deals they have! Whenever I want something from a brand I generally can’t afford i.e. Free People, PAIGE, Wildfox, Jeffrey Campbell, etc. I always check Nordstrom Rack to see if it’s available there for a much better price! Sometimes the exact item I’m looking for isn’t available, but I always find something I like 🙂 Here are some of my faves from Nordstrom Rack! 4. Go to Sale Section First! I’ve mentioned this in a post before, but 99% of the time the sale section is where it’s at. It’s very hard to bypass all the beautiful newness a store has to offer, but if you are online shopping it’s much easier, trust me. The first thing I do when I online shop is I go right to the sale section, especially for stores that are more pricy. Don’t think that because it’s the sale section the items won’t be cute. Chances are they’re there in the first place because the store had the items WAY overpriced, and no one in their right mind would spend that. But you were the smartypants who waited for the item to go on sale and saved a buttload of money! Go you 😉 Here are some of my favorite places with KILLER sale sections and pricy non-sale items lolol. 5. Plan What You Need. If there is anyone on this planet who is guilty of impulse buys it’s this girl. Even though I am on a budget and don’t have $75 to spend on shoes…I do sometimes. But hey, we have all been there at one point or another and I’m definitely working on my problem. To avoid this happening to you though, make sure before you go shopping you know what you need and you only have eyes for that. So when you see those beautiful $200+ purses in the window, know that you DO NOT NEED IT. Unless you like really do and that’s what you went to the mall for in the first place, but you get my point. Try your hardest to only get what you went for and nothing else. It might even help if you only bring a certain amount of cash with you and no credit or debit cards, so once you’re out of money you’re out. "Pamper Your Hair w/ Eva NYC!!" "The Shoes You Need This Summer!!" LOVE these tips, Dana! Nordstrom Rack is for real the greatest place ever!